The host unit at RAF Alconbury is the 423d Air Base Group. It supplies host unit services for RAF Alconbury as well as RAF Molesworth and RAF Upwood, and also provides services to the 426th Air Base Squadron at Sola Air Station, Stavanger, Norway. RAF Molwesworth is 14 miles west of RAF Alconbury and 11 miles northwest of Huntingdon. RAF Alconbury is three miles Northeast of Huntingdon and RAF Upwood is about 14 miles from RAF Alconbury. The principal activity is the European Command’s Joint Analysis Center (JAC), the mission of which is to analyze, process and produce intelligence for NATO. The JAC’s area of responsibility includes more than 77 countries spread across Europe, Africa and the Middle East. RAF Alconbury began as a satellite base for RAF Upwood in 1938. Various American air units were tenants over the next five years. 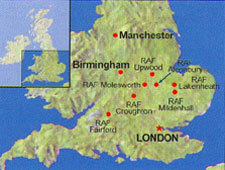 RAF Molesworth was established as a bomber base for the Royal Air Force and was first occupied by the Royal Australian Air Force. The airfield was extended in 1942 to accommodate U.S. heavy bombers and the first American unit arrived in July. The base was closed down in 1946 but reopened in 1951 for U.S. Air Force use. The nearby town of Huntingdon is less than an hour from London by train and a 30-minute drive from Cambridge and the cathedral cities of Peterborough and Ely. Essentially rural in character, Huntingdonshire is very pretty and picturesque and an ideal location for walkers. For more information visit the werbsite at www.501csw.usafe.af.mil/units/alconbury. Family Programs. Single Airmen, couples and families have a wide variety of services available to them through the Airman and Family Readiness Center, the Child Development Center and Family Child Care. The Readiness Center offers services and activities to groups, units and individuals. Career development, relocation help, personal financial management and deployment assistance are some of the programs. The CDC helps children from six week to 5 years and the Family Child Care program offers a home environment alternative to the CDC with highly trained providers available to care for children even during swing and midnight shifts. The Fitness and Sports Center at Alconbury has equipment checkout, two racquetball courts, two softball fields, four tennis courts, basketball/volleyball court, men’s and women’s locker rooms with saunas rooms, a strength room with modern equipment, football field (surrounded by an all-weather track). There is a well rounded intramural and varsity sports program as well as highly qualified staff that can offer assistance in fitness programs and personal training. The Outdoor Recreation Center’s services include organizing trips for camping, cycling, paintball, windsurfing, scuba diving, walking and rappelling. The Alconbury facility also offers skiing trips and whitewater rafting trips. The center also has a retail shop and a rental service for everything lawn and garden equipment to party tents. The Bowling Center at Alconbury has 12 fully automatic bowling lanes, a fully stocked pro shop, birthday party specials, video game room, slots room and league bowling. Inside is the Pinspotter Café offering a wide range of different foods. There is also a takeout service. The Education Center at Alconbury offers assistance in getting everything from various certificates to master’s programs in a number of areas. Representatives of various contract schools are there to help out. RAF Alconbury Elementary School offers classes K through 5, including special education, reading improvement, talented and gifted program, and compensatory education and reading recovery. RAF Alconbury Middle/High School offers grades 6-12. The limited number of existing quarters makes it impossible to house all military families on base. Dormitories on base with single occupancy are provided for single service members. The Temporary Lodging Facilities on RAF Alconbury are equipped for a family of four and include a modern kitchenette with microwave, cooking and eating utensils, color television (cable TV), DVD and laundry facilities. The waiting list time for military family housing varies from 6-12 months or more. There is no housing directly on RAF Molesworth; the Molesworth housing area is in the village of Brington approximately one mile from RAF Molesworth. Before you begin your search for off base housing you should attend one of the twice-weekly housing briefings. The Upwood Clinic, the 423ABG Medical Facility, is a modern clinic staffed with medical and dental professionals whose charter is to keep you and your family physically and mentally fit during your tour here. It’s an outpatient facility, with the role of providing routine medical and dental services within the capability of its resources. 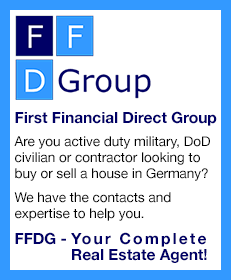 Specialty services are limited and require referral to either military or civilian facilities. Under the NATO Status of Forces Agreement (SOFA), all US military or DoD members and family members residing in the UK can subscribe to the National Health Service, free of charge. In general, if services cannot be provided to you through the resources of the military you may be referred (or refer yourself) to NHS resources. A veterinarian visits Alconbury once a month. RAF Alconbury Chapel offers regular Protestant and Catholic services. Synagogues are in Peterborough and Cambridge. The Community Relations Advisor is a British civil servant appointed to the staff of the base commander to promote friendship and understanding. She regularly visits both Molesworth and Alconbury to advise on life in Britain, from where to go and what to see to more individual concerns and queries. The exchange, commissary, concessionaires and theater are at Alconbury. The commissary offers more than 7,500 line items for sale and a fresh bakery and delicatessen. The shoppette at RAF Molesworth carries items of necessity such as milk, bread, sodas, pet supplies, and other groceries normally found in the commissary. There are also a variety of items normally found in the BX along with a frozen food department and DVD rental section. The Class Six store is included in the shoppette. There are gas stations at both Alconbury and Molesworth. The New York Pizza and Deli is the best place to eat at Molesworth. It’s important to note that shopping in the exchange or commissary is only authorized for military personnel and retirees who are assigned to, or resident in, the United Kingdom. Visiting military personnel and retirees are not authorized. The Stukeley Inn Community Service Annex facility offers lunches and dinners from Wednesday to Friday and a special Sunday Breakfast. The Pathfinder Pub is open on Wednesdays and Thursdays. The Inn also offers Pizzas to Go from Wednesday to Friday and has catering services for parties, promotion, receptions and other events. The Daily Grind coffee shop is open seven days a week and offers (along with Starbucks coffee) cold drinks, teas, sandwiches, pastries, fruit bowls, soups and salads. There is also free WiFi. On RAF Molesworth there is the New York Pizza & Deli. Open Monday to Friday from 7 am to 2 pm, it offers a range of sandwiches, breakfast items and hot daily specialties. Like other bases in the U.K., RAF Alconbury and Molesworth are receiving the Command Information Dissemination System (CIDS), which carries a great variety of AFRTS programming plus accurate military information at zero cost to the military member. Cablecom offers additional entertainment subscription packages for a monthly fee. There is no need for converters or a multi-system television or VCR, because all of these services are provided in U.S. standards. CIDS also brings 12 radio stations to the homes -- everything from country and adult rock to Fox Sports Talk and ESPN radio. Located in the Alconbury Village Communities Activities Center there are a variety of services and classes offered. There is also a retail shop. The Community Activities Center at Alconbury has a commercial travel agency, party room rental, pool tables, ping pong and darts. The Library has computers, wireless and printers, plus adult and children's books and A/V materials including books on CD, DVDs and CDs. Educational, job-related, enriching or recreational books for all ages are available. The facility includes reading areas and a children's area. Information, Tickets and Travel (ITT) offers full travel services to meet all your vacation needs including air fares, overseas travel, package tours, theater tickets, travel brochures and general information. There are weekly organized trips to local historical and family attractions. The Auto Hobby Center at Alconbury has full time mechanics and a parts resale store to meet all of your automotive needs. Auto detailing service is also available. The Britannia Inn offers affordable and comfortable alternatives to local hotels and pensions. There are branches of the Community Bank at Alconbury and Molesworth, and a branch of Keesler Federal Credit Union at Alconbury. The Youth Center offers a wide variety of programs for children in the Tri-base area. It also provides before and after care for school age children. The Teen Center offers a variety of programs for 12 to 18 year olds. RAF Croughton is located in a rural area near Brackley, Northamptonshire, about 25 miles north of Oxford and 52 miles northwest of London's Heathrow airport. On the edge of the beautiful Cotswolds, the local Croughton area includes many small villages, historical sites, numerous pubs and wonderful scenery. Croughton is the home of the 422nd Air Base Group, the primary mission of which is to provide command, control, communications and computer (C4) support to DoD and civilian agencies across the European theater as well as base level functions and services for the RAF. The 422nd is comprised of about 265 military, 140 US government service and 200 British Ministry of Defence (MOD) members. Single Airmen, couples and families as well as retirees and their familieshave a wide variety of services available to them through the Airman and Family Readiness Center. The Center offers services and activities to groups, units and individuals. Relocation and moving help, deployment assistance and Key Spouse are some of the programs. The Community Center provides a large function room suitable for parties, weddings, social events, large meetings/conference facilities, movies and more. A kitchen and bar are attached to the function room. Other facilities and services include an Xbox and movie room for those older than 13; a Daily Grind coffee shop with free Wi-Fi and a gift shop that sell a variety of souvenirs, pottery, clothing and other items. The Base Exchange offers the limited selection of goods you would normally find at a small comparable stateside store. There is a concession mall with dry cleaners, tailor shop and New Car Sales. Larger items can be purchased or transferred from the large BX at RAF Lakenheath, which is located two hours northeast of Croughton. The Base Commissary offers an excellent variety of foods, from fresh vegetables to your favorite cut of meat. Special orders are also accepted and there is a bakery and deli. The Croughton Elementary School, operated through the Department of Defense Dependents Schools System, offers a comprehensive K-6 curriculum. Students attending 7th-12th grades need to be registered into the Non-DoDDS School Program, and probably will either be home schooled or attend British schools. The base Education Center provides a variety of services and advice as well as hosting a representative of the University of Maryland. There is a library with over 10,000 books as well as 6,000 audiovisual items Wi-Fi is available 24 hours a day, 7 days a week and there is a public computer room with terminals, printers and scanners as well as a copy machine. Lunch is offered at the Croughton Crown in the Community Center Annex from Wednesday to Friday from 11am to 1:00 pm. The Croughton Crust in the same facility offers pizzas in-house and for takeout on Thursdays from 4pm to 7pm and Fridays from 4pm to 9pm. The 12th Frame Café in the Bowling Center is open 7 days a week and offers a large range of menu items. Services provided by the Croughton Clinic include Family Practice, Immunizations, Laboratory, General Dentistry, Life Skills, Family Advocacy, and Public Health in an outpatient care setting. The clinic also has a pharmacy. There is a vast network of Host Nation providers within the local area if specialty care referrals are required. There are Catholic and Protestant ServicesSundays at the Base Chapel. Sunday School and Bible Study are some of the other services available. Almost every village has a Church of England parish, which generally will be in an old historical setting. Services are often liturgical with some special services periodically scheduled. There are three government housing areas for both officers and enlisted members consisting of single-family and detached units with two to four bedrooms. Single members in the grade of TSgt or above are generally authorized to live off base in the local community. There is a branch of the Community Bank on base, plus a number of ATMs at good locations. Other Services and Facilities. RAF Croughton offers a comprehensive and balanced program of leisure and recreational activities, including an arts and crafts center, outdoor recreation office, auto skills center, recreation checkout facility, Skills Development Center, Youth Activities Center, Child Development Center, Fitness Center, post office and an Information, Tickets and Tours office. Royal Air Force (RAF) Station Lakenheath, Suffolk, United Kingdom, is located 70 miles northwest of London and 25 miles from Cambridge. The closest town is Lakenheath village, which is located two miles from the base. RAF Mildenhall and Mildenhall village are approximately seven miles away. RAF Feltwell and the village of Feltwell are approximately eight miles away. RAF Lakenheath is the largest U.S. Air Force-operated base in England and the home of the 48th Fighter Wing. The base consists of approximately 5,500 active-duty military members, 2,700 British, Icelandic and U.S. civilians, and includes geographically separated units at nearby RAF Feltwell as well as Keflavik Naval Air Station, Iceland. The base is located in a rural area made up of small towns and villages. Personnel live in these villages if they are not in base housing. The area is called East Anglia, the name given to the four counties of Norfolk, Suffolk, Essex and Cambridgeshire. Instead of jam-packed, high-rise cities, East Anglia boasts quiet towns and villages, farms and forests, and many historical points of interest. It’s about 70 miles from London, close enough to make big city life available when it’s wanted. During the Middle Ages, East Anglia was one of the wealthiest areas of England. Sheep raising, wool and manufactured clothes were the basis of a very profitable trade with Europe, and the remaining churches, castles and abbey ruins attest to the wealth that was accumulated. But in the 1500s, the wool trade declined and at the same time England was turning her attention away from Europe. As the nation concentrated on colonizing America and other places around the world, East Anglia remained predominantly rural. Probably the best-known city in the area, Cambridge (population 109,000), is about 25 miles southwest of the base. The city has one of England’s most prestigious universities and attracts students from around the world. The climate in the area is cool in summer and mild damp in winter. Sites of military interest in the area include the American Cemetery at Madingley, near Cambridge, for those who fell in World War II, and the Duxford Air Museum, the finest collection of civil and military aircraft in Britain. For more information check the Lakenheath website at www.lakenheath.af.mil. The Airman and Family Readiness Center offers an array of specialized programs and services aimed at improving the quality of life for military members and their families. There are approximately 1,875 military family housing (MFH) units in 13 locations serving RAF Lakenheath, RAF Mildenhall and RAF Feltwell. Most units are supplied with all the major appliances to include microwaves, refrigerators, cookers (ovens), washers and dryers and 110 volt electrical outlets (transformers won't be necessary). The wait time for on-base housing varies, depending on family size, grade and preference area. Usually, families are waiting anywhere between 0-24 months for on-base housing. Just to be on the safe side, prepare to live off-base for a few months. There are also many rentals available for those looking for off-base accommodations. Liberty Lodge is a temporary lodging facility for all ranks, whether on official duty or (if space is available) on leave. It has 78 temporary living facilities which include a kitchen complete with utensils, maid service and free washer/dryer. The facility also has 133 visiting quarters with private bathrooms and kitchenettes and 23 Airmen quarters with a shared bath. The hospital and clinic of the 48th Medical Group (48 MDG) at RAF Lakenheath provides general and specialized medical services to military and civilian members. It is the largest Air Force medical facility in Europe and, among other things, offers several surgical procedures performed nowhere else in the USAFE. An average month includes 15,000 outpatient visits, 1,400 emergency room visits, 267 surgical procedures, 150 hospital admissions, and 44 baby deliveries. The dental clinic offers both general dentistry and special dental treatment for active-duty and family members. Although routine dental care for family members is available overseas, extensive treatment and special care is limited. Full use of the TRICARE Active Duty Family Member Dental Plan entitlements before arrival in Great Britain is strongly encouraged. Under the NATO Status of Forces Agreement (SOFA), all US military or DoD members and family members residing in the UK are entitled to care through the National Health Service, free of charge. In general, if services cannot be provided to you through the resources of the military you may be referred (or refer yourself) to NHS resources. The Lakenheath-Mildenhall-Feltwell complex has a total of five DoDDS schools for dependents of the military, government employees and civilians from private American firms. The Feltwell Elementary School is for children in grades K-5. The Lakenheath Elementary School is for grades K-3. The Liberty Intermediate School is for grades 4-5. The Middle School at RAF Lakenheath is for grades 6-8 and Lakenheath High School is for 9-12. American children can attend British schools. Contact with them is best done through education officials on the base. School terms (three per year) usually run from the second week in September to mid-July, with breaks between terms. A few nursery classes are attached to primary schools in the West Suffolk area, but there are seldom enough places to go around. There are, however, several privately run nursery schools and informal pre-school playgroups. American holidays are not observed at British schools. The RAF Lakenheath Child Development Centers offer full-time, hourly and short-term child-care to eligible parents. The Family Child Care (FCC) program provides licensed child care providers in government housing for children form 6 weeks to 12 years of age. There is a Youth Center offering a wide variety of programs for children from 5 to 18 years. The Youth Sports Program offers a variety of organized sports for children 5 to 18. There is also a Smart Start program for children aged 3 to 5. Degree programs are offered by the Embry Riddle Aeronautical University, Central Texas College, University of Maryland, University of Phoenix and University of Oklahoma. There are education specialists and guidance counselors available to help service members and their families. There are over 31,000 books at the large Lakenehath Library. There are also audio books on CD and for MP3 players. DVDs are available for checkout. The library also has 26 computers for its customers to use. There is free Wi-Fi, too. There are study rooms and a conference room that can be reserved for meetings or studying. There is a Community Bank and a branch of the Keesler Federal Credit Union on base, and ATMs at numerous locations. The chapel offers comprehensive Catholic and Protestant programs. Activities include groups for women and men, youth activities, choirs, worship bands and drama teams, religious education classes for all age groups and spiritual retreats. Social and fellowship activities are also conducted throughout the year. Almost every village has a Church of England parish, which generally will be in an old historical setting. Services are often liturgical with some special services periodically scheduled. There is a large vet clinic on RAF Lakenheath as well as a vet clinic at RAF Feltwell offering a wide range of treatments and services for the family pet. The American Red Cross provides social welfare casework services including emergency communications and financial assistance. Health and safety courses and volunteer opportunities are provided. The Base Exchange offers a selection of electronics, jewelry, clothing, cosmetics, house wares, footwear, health and beauty care, DVDs and CDs, and other items. It also offers layaway, check cashing, gift certificates, special orders, gas coupons and VAT coupons. The Commissary is open seven days a week. The store offers an average of 9,000 items plus produce and meat departments, a deli, sandwich cart, in-store bakery and a well-stocked grab-n-go section. It’s important to note that shopping in the exchange or commissary is only authorized for military personnel and retirees who are assigned to, or resident in, the United Kingdom. Visiting military personnel and retirees are not authorized. This facility offers courts for racquetball, volleyball, basketball and badminton. Outdoor facilities include a full-size athletic field encircled by an all-weather running track, two softball fields and three tennis courts. There is a weight room, cardiovascular room, and fully equipped men’s and women’s locker rooms with saunas. Professional staff is available for advice and classes to suit individual needs. The Liberty Lanes Bowling Center has 24 computerized scoring lanes, a pro shop and a snack bar. The on-base Breckland Pines Golf Course is a nine-hole facility with 18 different tee positions, and Lakenheath has the only U.S. military skating rink in the United Kingdom. Electric Avenue has a large selection of films (DVD and VHS) for sale and as rental items. DVD and VCR players can also be rented. Game systems and games can also be bought or rented. Compact discs are for sale, and there is a special-order service. Other product for sale include audio and video accessories; iPods, PlayStation, X-Box accessories; car sound systems and accessories; British phones, cell phones and pre-paid phone cards. The 48th Avenue CAC offers a wide variety of programs and classes as well as theatrical performances throughout the year performed by the Union Jack Players. There is a gift shop, TV lounge, and Internet café with free Wi-Fi. The Page CAC is in building 900, next to the Fitness and Sports Center. It is noted for its Skating Rink. It also offers a large variety of programs for teens and children. There is a large game room, Parent-Child Fitness Center and snack bar. The Ward CAC at RAF Feltwell has recreational programs for youth, adults and families. Ther eis a multi-purpose room, snacks, free Wi-Fi and pools and foosball table. Books , videos and a TV room with AFN are there. The 48th Street Café Military Dining Facility, open Monday through Friday, offers a wide range of specials throughout each month. The Grill at Breckland Pines golf course is open for breakfast and lunch seven days a week and offers traditional breakfast and lunch fare. The Great Little Pizza Place located behind the 48th Avenue CAC, is open seven days a week into the evening and offers pizzas, calzones, hoagies and garlic bread. You can eat there or order take out. They also deliver on base and to the Liberty Lodge. The Knight’s Table Military Dining Facility is open seven days a week and on holidays. It provides four meals a day Monday to Friday and two meals on the weekends. The Liberty Lanes’ Grill 48 is a typical grill and snack bar - open seven days a week. Pinkerton’s, at the club complex at Liberty Plaza, is open to all ranks. It has fine dining, a lunch buffet and specials throughout each month. Rugby’s Café & Eatery is also at the club complex. It serves breakfast as well as sandwiches, salads, specialty import beverages. They have menus for kids and several large screen TVs showing sporting events. Free Wi-Fi is also available. Rugby’s Too is on RAF Feltwell and offers snakes and drinks for breakfast and lunch from Monday through Friday. The Liberty Club, RAF Lakenheath's enlisted members club, features a ballroom with live entertainment, contemporary cuisine dining (Pinkerton’s) and a casino game room (Casino Lounge). Eagle's Landing is a catering and special events center featuring a lounge, ballroom, dining room, small conference room, party rooms and the Eagle's Landing Officers’ Pub. The Pineview Theater shows recnt releases from the states. The Arts & Crafts Center next to the Library offers a wide range of equipment, supplies, facilities and instruction seven days a week. There is a retail store as well as stat of the art classrooms. There is also a separate Wood Crafts Center. The Auto Hobby Complex has a friendly, professional atmosphere and an extensive range of tools to get your car back on the road. There is a variety of equipment available to rent. Gardening tools, sporting equipment, camping gear, air castles, trailers and other items are in stock. The Information, Tickets and Travel Office at RAF Lakenheath will help out with all manner of travel arrangements. It’s a single point of access for travel and entertainment information. The well-trained staff can help you make arrangements for any trip that involves the outdoors. Hiking, kayaking, horseback riding and adventure tours are some their specialties. Their Pedaler Bike Shop sells new bikes and has a repair facility as well as a store that sells parts and accessories. RAF Mildenhall is about 70 miles north of London, 26 miles northeast of Cambridge, and 13 miles northwest of Bury St. Edmunds. It, along with nearby RAF Lakenheath and RAF Feltwell, is part of the largest U.S. military community in England. Since October 16, 1934, when it officially opened, RAF Mildenhall has been at the center of aviation for the air forces of the United Kingdom and the United States. The base now conducts air refueling, force reception, force deployment and support operations for the United States Forces and NATO. East Anglia is the name given to the four counties of Norfolk, Suffolk, Essex and Cambridgeshire, which together form the most easterly portion of central England. RAF Mildenhall lies in the northwest corner of Suffolk. Sites of military interest in the area include the American Cemetery at Madingley, near Cambridge, for those who fell in World War II, and the Duxford Air Museum, the finest collection of aircraft in Britain. For more information check the Mildenhall website at www.mildenhall.af.mil. The Outdoor Recreation Center offers deep sea and fresh water fishing trips, ice skating, skiing trips, pony trekking, war games, spelunking, camping, rafting, sailing and sail boarding. Outdoor Recreation & Recreation Rental provides the needs for camping and sports, plus tools, lawn and garden implements, TVs, VCRs, camcorders, trailers, carpet cleaners, and much more. The fitness centers offer a variety of activities to include basketball, softball and flag football, and a wide variety of exercise options to include step class, Pilates, circuit training, cycling, cardio kickboxing and Yoga. The Breckland Pines Golf Course at Lakenheath is a nine-hole course with 18 tee boxes, driving range, lessons, monthly tournament and a wide range of golf equipment and accessories. RAF Mildenhall is about five miles from RAF Lakenheath. The Lakenheath-Mildenhall-Feltwell complex has a total of five DoDDS schools for dependents of the military, government employees and civilians from private American firms. The Lakenheath and Feltwell Elementary Schools are for children in grades K-3. The Liberty Intermediate School is for grades 4-5. The Middle School at RAF Feltwell is for grades 6-8 and Lakenheath High School is for 9-12. There are no schools at RAF Mildenhall. The 48th Medical Group (48 MDG) at RAF Lakenheath provides general and specialized medical services to active duty and retired military, their family members and US civilians employed in the area. The 48 MDG is the referral medical facility for the US Air Force, Navy and Army personnel assigned to the United Kingdom, and is a referral facility for all of USAFE. Flight Surgeons' offices are located at both RAF Mildenhall and RAF Lakenheath and provide limited care for flyers, active duty and some flyers' family members. Dental Clinics are located at both RAF Mildenhall and RAF Lakenheath. Family member services are provided at the RAF Lakenheath facility. The U.S. Army Veterinary Clinic located at RAF Feltwell, about seven miles from both bases, provides routine immunizations, health certificates, routine exams, de-worming and treatment of minor illnesses. Most other non-basic surgery is referred out. A variety of flea control and health care products are also available. You must sign an acknowledgement form when in-processing with the Commander's Support Staff that you understand the responsibilities of caring for an animal in case you choose to bring one here, or get a pet during your assignment. All cats and dogs must be registered with the Veterinary Clinic within 15 days of acquisition, or within 15 days of your arrival. Red Cross services include verification of death or sudden illness, birth announcements, health and welfare reports, babysitting classes, CPR classes, basic first aid and a variety of volunteer and training programs. The Youth Center at Mildenhall offers a before/after-school care programs, a preschool program, summer camp and gymnastics, karate, ballet, drill team, performing arts, tennis and an active sports program. There is also a large Youth Center at nearby Lakenheath. The BX at Lakenheath, five miles away, is the largest in the UK. It sells everything from clothing, electronics and household goods to stationery, appliances and health items. The BXtra Mildenhall sells household items such as towels, linens, sheets, rugs, outdoor equipment, tools, games, plants, toys, and pet items. Other facilities at Mildenhall include: a barber shop, alteration shop, 24-hour Shoppette and Gas Station, and several concessions for your convenience. The Food Court includes Cinnabun, Baskin Robbins, Taco Bell, Anthony's Pizza and Burger King. The Bookmark store is the largest in Europe. It sells a wide variety of books, magazines, calendars, maps, postcards and regional interest books, and you can place orders for other books that are available in the U.S.A.
Mildenhall also has a small commissary, which sells grocery essentials. A large commissary is located on Lakenheath. It's important to note that shopping in the exchange or commissary is only authorized for military personnel and retirees who are assigned to, or resident in, the United Kingdom. Visiting military personnel and retirees are not authorized. There are 2,735 military family housing units at 17 different locations that are available for assignment to active-duty military who have command sponsored dependents. All units are supplied with a refrigerator, stove, washer and dryer. In addition, most of the houses have 110-volt electrical outlets. Radio and TV programming is provided by cable. AFN is free and receivable in on-base housing and available to off base residents if they wish to rent or purchase an AFN decoder box at the BX. Various cable packages are available through British cable companies for a fee. They offer Country Music, Sky One, Sky Movies Plus, TNT Cartoon, UK Gold, Nickelodeon, MTV, Children Channel, Discovery, CNN, Sky Movies Gold, Sky Sports and the Movie Channel. American television sets are not compatible with British broadcasting transmitting systems and cannot be converted. If you have a television capable of receiving any signal, you must pay a TV licensing fee. The current fine for not having a TV license is 1,000 pounds. Whether it's fine dining, a spectacular entertainment show or a night out at the theater, you'll find it at the Galaxy Complex. It's open to all ranks and has three eating facilities; New York Pizza and Deli, the main dining room and the Roadhouse Grill. It also has a large ballroom and a Sports Lounge. Information, Tickets and Travel offers full commercial travel services to include airfares, overseas travel, package tours, theater tickets, travel brochures and general information. A branch of Community Bank is located on-base and you can get a pound sterling aacount here or use an off-base bank which can be found in many of the local towns and villages. There is also a branch of the Keesler Credit Union with banking services for members. Banking facilities. A branch of Community Bank is located on base, and you can get a pound sterling account here or use an off-base bank which can be found in many of the local towns and villages. A branch of the Keesler Credit Union is located on base with banking services for members. RAF Menwith Hill, a Royal Air Force station, is located in Northern England in North Yorkshire, approximately 200 miles north of London, and about eight miles west of Harrogate. It houses the multinational 421st Air Base Group, the mission of which is to ensure a full range of base support services for an installation populace that includes, military personnel, civilians, contractors and their families. Menwith Hill Station serves as an integral part of the Department of Defense (DoD) worldwide defense communications network and provides intelligence support for U.K., U.S. and other allied interests. Menwith Hill Station was opened on 545 acres of land acquired by the British War Office in 1954 and leased to the United States. In addition to the Army personnel, the United States Air Force451st Information Operations Squadron (451 IOS) has an integral part of the station. Menwith Hill is highly recognizable by its several dozen radomes, usually referred to as "golf balls", and each containing a satellite dish. More than 70 percent of the families live in local towns and villages and participate fully in community life, supporting local church and resident associations as well as volunteering with community and charity groups. The site has expanded so much in recent years that it has its own internal roads, houses, shops, bank, post office, school, church, sports center, bowling alley, hairdresser, beauty salon, garage and power supply. There is an extensive sports program. The Fitness and Sports Center has lots of state of the art equipment, and the Outdoor Recreation Center carries a wide variety of items for checkout. The Strike Zone Bowling Center features automatic bumpers, state of the art scoring systems and programs to meet the needs of every bowler, whether a complete novice or a seasoned bowler. Check out the bowling leagues and tournaments. There is also a library and an arts and crafts facility. The Chapel offers Protestant, Gospel, Lutheran and Catholic worship services. It also has a Protestant and Catholic Religious Education programs, a "Club Beyond" youth group, Protestant Women of the Chapel, Catholic Women of the Chapel, and a wide variety of fellowship as well as spiritual growth opportunities. Because the UK is an English speaking country a variety of worship and religious services exist in the surrounding communities. The Menwith Hill Elementary/High School is part of the Department of Defense Education Activity (DODEA) and the Department of Defense Schools Isles District (DODDS-Isles). It's a small, coeducational school with students in grades Kindergarten to twelve. American children also attend British Schools. College level courses are offered through the University of Maryland, the University of Oklahoma, Embry-Riddle Aeronautical University, Central Texas College and the University of Phoenix. The Occupational Health Clinic is staffed by two U.K. general practitioners (GPs), two U.K. nurses, one medical nurse, and a receptionist, all of whom are under contract with the U.S. government. A certified occupational health nurse manages the clinic and is the patient advocate for any issues or concerns relating to health care. Patients requiring special care beyond local professional capabilities are usually referred to the Lakenheath Hospital. General dentistry services, examinations, cleanings, fillings, root canal treatment and periodontal treatment are provided for all eligible beneficiaries. The main AAFES store contains clothing, home supplies, cosmetics, linens and jewelry departments. The complex also includes a shopette, barber/beauty shop, car care center, car rental facility and a Waterford/Wedgewood concessionaire. The main store is closed Sunday. Besides the grocery department the commissary offers a bakery, deli, fresh sandwiches to go, rotisserie chicken and hot foods. You can also get party cakes and plants there. The commissary is closed Sunday and Monday. It's important to note that shopping in the exchange or commissary is only authorized for military personnel and retirees who are assigned to, or resident in, the United Kingdom. Visiting military personnel and retirees are not authorized. The Strike Zone bowling alley offers a variety of quick-serve food items for breakfast, lunch and dinner plus those any time snacks. The menu features more salad and healthy options than previously, plus draft beer, buffalo chicken tenders and French fries. A branch of Community Bank is located on-base. You can get a pound sterling account there or use one of the off-base banks in many of the local towns and villages. Personal checks can be cashed at the Base Exchange and the club. Additionally, money order service is available at the Base Exchange and the Post Office. The club caters to both officer and enlisted personnel, offering typical club activities to them, their families and some civilians. The Menwith Hill Station Library offers leisure and professional reading material, computers, photocopiers and more. Government Housing consists of 111 on-station housing units reserved for enlisted personnel, key and essential personnel and DoD civilians in the grade of GS-6 and below. These two-story units are equipped with appliances, and are fully carpeted. Additionally, there are 144 housing units located within a 25-mile radius of the station. 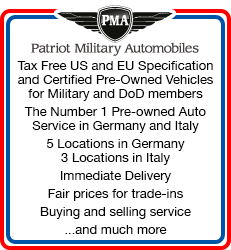 They are available to all accompanied military personnel as well as accompanied DoD civilians in the grade of GS 13 and below. Personnel eligible for government housing will not be allowed to lease private housing if adequate government housing is available. There is a scouting program on station for both boys and girls. It is active within the British community, and offers a rare opportunity to enjoy scouting at an international level.